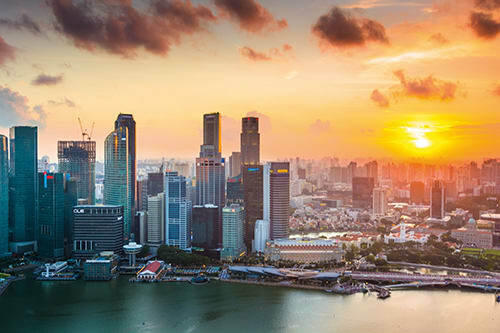 GIR takes an inside-out look at the reality of doing investigations in Singapore, as well as the government’s efforts to step up enforcement. Singapore must tweak its corporate criminal liability laws to ensure companies fear prosecution enough to want to resolve bribery matters with a settlement, lawyers say. Newly passed legislation in Singapore introducing DPAs closely follows similar legislation in the UK. Singapore's “dated” anti-corruption law is due for an overhaul so prosecutors who currently focus on individuals can more easily hold companies liable for misconduct. Singapore could be ready to follow the lead of other jurisdictions in the region and introduce a UK-style senior managers regime to hold senior executives accountable. Financial authorities in both Singapore and Guernsey are investigating UK bank Standard Chartered after the bank self-reported potential issues connected to US$1.4 billion in transfers made on behalf of Indonesian clients. A Singapore court has sentenced a former BSI banker to 54 months in jail for money-laundering charges in connection with funds allegedly embezzled from Malaysia’s 1MDB – the longest for an individual to date. A Singapore appeals court ruled that emails published online from a cyberattack, and proposed as evidence in a case, still retain privilege. Lawyers say that the decision sets a precedent against future cyber attacks intended to expose confidential material. The Corrupt Practices Investigation Bureau (CPIB) opened a new centre where whistleblowers can report misconduct, to boost the country’s reputation as a corruption-free nation amid widely-publicised money laundering investigations. A day after the DOJ unveiled its largest-ever kleptocracy case, Singapore authorities announced the seizure of an additional US$177 million in 1MDB-related assets and accused four banks that handled transactions linked to the embattled Malaysian investment fund of anti-money laundering failings.